With more than 200 social networking sites in existence today, it’s safe to say the social sphere is a crowded market. But, with most social network users only maintaining an average of three to five profiles, how can newcomers hope to make their mark on the industry? Undoubtedly this was one of the questions co-founders and brothers Mike and Red Fabbri asked themselves as they started one of the newest social platforms, prollie. 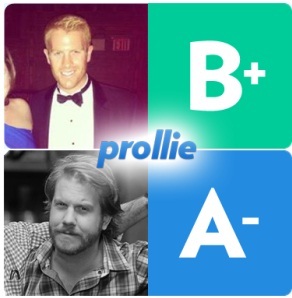 As a social media analytics and user discovery platform, prollie grades its members on their social media ability and helps uncover their passions while letting them search for like-minded users on their favorite social networks outside of prollie. So, if my passion is public relations, prollie will detect that based on my social posts and interactions. Then, I can search for others who are interested in public relations and see where to follow them (i.e. Twitter, Facebook, Tumblr, etc.). With ample potential to fuel topical conversations, make user introductions and help businesses target specific markets, is that enough to help prollie stand out from the crowd? According to Mike Fabbri, it certainly seems so. In the analytics space, sites like Klout would be prollie’s natural competitors. However, Fabbri notes that they are not in the game of measuring influence. prollie measures its users’ skill and passion on social media sites, not their popularity. What makes prollie special though is its search functionality. “It’s like a super customized ‘suggested user’ tool. That’s the goal, find others to friend/follow who want and deserve to be found, including yourself,” said Fabbri. In terms of future plans, Fabbri says prollie would be open to partnering with other major networks like Facebook or Twitter, since, ultimately, they just want their users to have the best social experience possible. prollie aims to be a network-agnostic extension of these sites that helps enhance users’ friend or follower base, so that they can get more out of what makes each network unique and awesome. What do you think; could prollie be the next big thing? Check out the intro video to see prollie in action and request an invite to its alpha program.